Dr. Edward Jenner was the inventor of the smallpox vaccine. He was born on May 17, 1749 in Gloucestershire, England. His father was a vicar. Edward was admitted to the local primary school, where he turned out to be a good student especially interest in biology. Gradually, He began studying to become a doctor. At that time it was customary for a medical student to assist an experienced doctor and seek his guidance. He sought training under the experienced surgeon Dr Daniel Ludlow. At 21, Jenner Joined the St. George Hospital in London to undergo training under the great surgeon and anatomist Dr. John Hunter. It was a time when the field of medicine was in its nascent stage. Doctors experimented with herbs and used them to cure a disease. When an epidemic struck any region, millions of people lost their lives. In Europe alone, 60 million people succumbed to various diseases between the periods of 1700-1800. People considered such contagious disease as the Lord’s wrath curse. In 1721, smallpox had infected almost half the population of Boston in USA, 10 per cent of whom lost their lives. Today, this disease has been eradicated from the face of the earth. The Vaccine has played an important role in controlling and curbing this disease. All credit goes to Jenner for discovering the smallpox vaccine. Dr. John Hunter of the St George Hospital was an inquisitive and restless soul. He would conduct various experiments, which he would try on himself first. Unfortunately, he became a victim of an incurable disease, which cut short his life. His students underwent the same kind of rigour. Hunter became Jenner’s lifelong friend and guide. After graduating from St George Hospital, on the advice of Hunter, Jenner returned to Gloucestershire to practice medicine. Hunter and Jenner continued their correspondence for long. Hunter believed that the rural-bred Jenner would be more comfortable working in a rural area than an urban set-up. Modern medicines were still a far cry in those times. Doctors prescribed herbs and people preferred homemade remedies to combat diseases. They knew that some plants and vegetables had miraculous healing powers. Degetelis was considered to be a vital medicine for heart-related diseases. Like India, local remedies were sought there. Some diseases attack a person once in a lifetime, for example, German measles. Parents would feel relieved if this disease attacked their daughters at a young age, since it would create complications at a later age. Once this disease attacked at a young age, it would not attack again. Besides, it was easier to cure this disease when the patient is young. Similar belief prevailed in the case of smallpox. In the East, to escape the curse of smallpox it was a practice to inject the germs of smallpox in the body to weaken its deadly effect. Unfortunately, some lost their lives in the process. The village fold of Gloucestershire found that a patient of cowpox did not catch smallpox. This disease first invariably comes to our mind: Why only cows and not horses or any other animal? 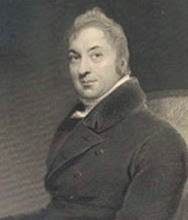 Encouraged by Hunter, Jenner concentrate his research on cowpox. He examined 27 patients suffering from this disease. 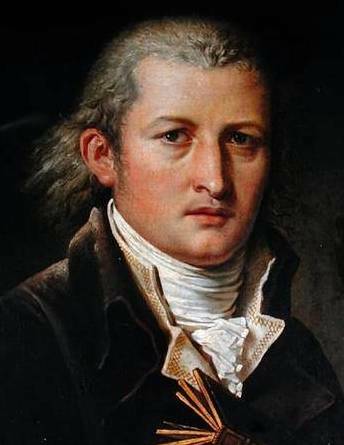 He published his findings in 1796. He conducted a unique and bold experiment. After convincing the parents, Jenner injected an eight – year- old boy Jimmy Flipps with lymph from a cowpox vesicle. It made the healthy boy sick. He followed this with injections taken from smallpox pustules. The boy did not develop smallpox. When Jenner announced his findings, there was upheaval in society. There were some who criticized Jenner for interfering with the natural process of life and some who congratulated him for his achievements. Some even said it was no big achievement and still others tried to limitate him and conducted experiments without proper knowledge, killing patients rather than curing them in the process. When the dust settled, Jenner detailed his discovery-presenting the world with the smallpox vaccine. The world hounoured him and the parliament conferred knighthood on him. He was now Sir Edward Jenner- Besides, he was awarded $ 20,000. Oxford University bestowed on him an honorary degree. The Czar of Russia gifted him a gold ring and Napoleon congratulated him for his path-breaking discovery. A group of Indians based in America honoured him with gifts and publicly lauded his achievement. The world will remain indebted to Jenner for his vaccine that has contributed to a healthy generation. We should always ensure that every healthy child is inoculated for all- smallpox, Chickenpox, polio and diphtheria. Jenner spent his later life at his country house in Gloucestershire. He died in January. 1823. His vaccine has ensured a smallpox- free society. Various vaccines developed for different diseases have helped children to be resistant to diseases. Dr. Jonas Salk is one such precursor to develop the polio vaccine and contribute towards a polio-free world.